Silica accumulation in deciduous trees: could it be a substitute for lignin? Background: Silicates, comprised of silicon (Si) and oxygen, are ubiquitous in natural systems and are increasingly well known to provide structural, physiological, and protective benefits for agricultural crops (Sangster et al. 2001).Taken up as silicic acid in plants, Si is reported to have three uptake modes:active, passive, and rejective uptake (Takahashi et al.1990). Si has been recognized as a beneficial element for some plants because of its ability to act as a physical protection to abiotic and biotic stress as well being a biological inducer of plant innate defence responses. The benefits provided by silica formation in plants include increased photosynthetic activity, increased insect and disease resistance, reduced mineral toxicity, improvement of nutrient imbalance, and enhanced drought and frost tolerance. Limited studies however have focused on trees in temperate forests. On the other hand, a recent study proposes that Si could be 10-20 times energetically cheaper than lignin while having a similar effect on the cell wall (Schoelynck et al. 2010). The quantification of Si is a necessary step to better understand the role of Si in tree metabolism, defense mechanisms and nutrition. Objective: To examine how foliar Si concentration varies among 17 species of hardwoods and conifers in relation to lignin, tannins and calcium content. We hypothesized that trees that are high in leaf Si have lower leaf lignin and calcium, but higher condensed tannin concentrations. Method: The study was conducted at the International Diversity Experiment Network with Trees (IDENT) plantation on the Macdonald Campus in Ste-Anne-de-Bellevue, QC. Based on a block design, tree leaves were sampled from monoculture plots in each of the four blocks in the summer of 2014 and 2015. Leaf Si concentration was determined through NaOH digestion and colorimetry analysis (Kraska 2009), while lignin was by AOAC (1990) acid detergent fiber and acid detergent lignin procedures. Condensed tannins were extracted with 50% methanol, followed by a proanthocyanidins assay with acid butanol (Waterman and Mole 1994; Hagerman 2002). Preliminary results: The Si concentration results along with a multivariate discriminant analysis allowed for the grouping of hardwoods into Si accumulators, intermediate and excluders, and of conifers into Si intermediate and excluders. American beech was an active Si-accumulator type with the predicted foliar associations of low lignin and calcium concentrations with high tannin concentrations. Sugar maple (SM) in contrast had high Si paired with higher lignin and calcium concentrations and lower condensed tannin concentrations possibly indicating a different metabolism strategy. Further research is necessary to determine the underlying mechanisms and functions of how Si metabolism is intertwined with phenol metabolism, calcium nutrition and plant cell wall components in different species. Jaffray, Roxane. 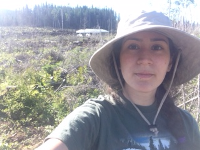 2018.Silicon dynamics in hardwood and conifer trees of temperate forests with a focus on interactions with lignin and tannin metabolism.Poster Presentation.June 10. 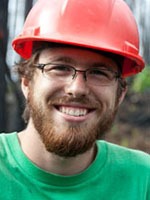 North American Forest Soils Conference-International Symposium on Forest Soils. Québec City, QC. Jaffray, Roxane. 2017.Silica accumulation as a possible modulator of lignin, tannins, and calcium metabolism in hardwoods and conifers. Poster Presentation. March 28. Northeastern Ecosystem Research Cooperative (NERC) Conference. Saratoga Springs, NY. Jaffray, Roxane. 2016. Silica accumulation in deciduous trees: could it be a substitute for lignin? Oral Presentation. Sept 30. 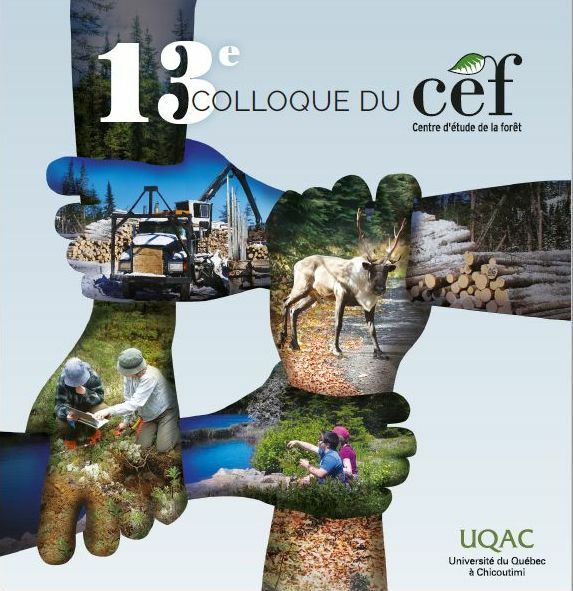 Eastern Canada and USA (ECANUSA) Forest Science Conference "Understanding and Managing Forests in a Changing Environment". University of Vermont. Burlington, Vermont.